The news about the news business is suddenly all-Murdoch, all the time. I am struggling with my reflexive reaction to government meddling with journalism, which is to say: hands off. 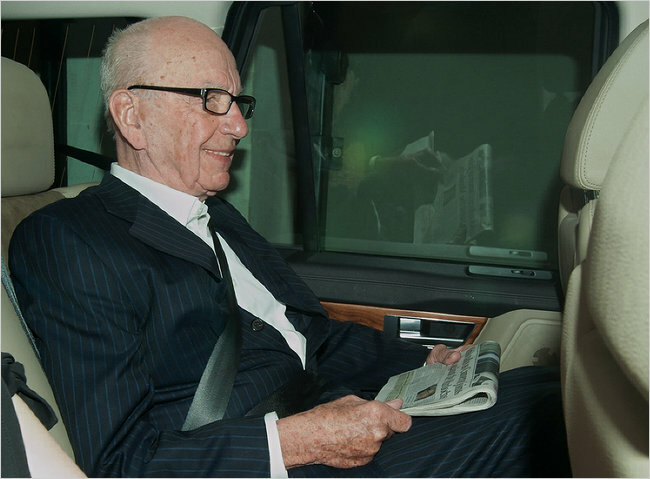 Murdoch is the one person in the news business for whom I might consider an exception. (And that is based not on his right-wing politics, but on his declared intent to destroy the NYTimes. That puts him in a different category — a destroyer or vandal of journalism. So, it is with somewhat mixed feelings that I greet the news that Sen. Jay Rockefeller (who may actually be richer than Murdoch) has called on U.S. authorities to investigate the behavior (not the views) of all Murdoch employees in the United States for possible criminal actions. That would involve FOX TV News, the Wall Street Journal, the New York Post, and other properties. Here’s a story from The State, based in Rockefeller’s home state of West Virginia.